It is almost impossible to think of life without cars. Owning a car makes life so much easier. But to drive a car, you must first learn driving by undergoing proper training. Then you have to obtain a valid license too. 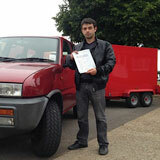 If you are looking for good quality driving training experience, there is no better place than GP training in Brighton, London. The training programs offered by us at GP training are tailor made for different kinds of people with different requirements, from novice drivers wishing to learn driving to the experienced drivers wishing to upgrade their skills. 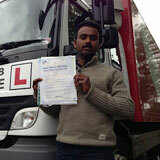 The training programs offered by GP training includes, PCV training, driver CPC training, LGV/HGV training and so on. Each different training program is specialized keeping in mind the skills needed for each kind of certification. The training programs are provided with a combination of theory classes with proper books as well as practical lessons too, such that there is no gap in your learning. After all, Learning to drive is not entirely about the practical lessons, you would also have to know about the various traffic rules, the road safety regulations for your own as well as other’s safety. You must also know that the vehicle you drive should be legal as per your age and should be safe to drive on the roads. The trainers at GP training are all DSA approved and multi lingual. Hence if you are not a native English speaker, you do not have to worry, our trainers would provide instructions to you in a language you are comfortable in. The expertise and knowledge of our trainers at GP training would help you in learning driving skills perfectly in a safe and secure way. Since the vehicles we use for training students are well furnished, well maintained and are equipped with a dual control as well. Hence it is ensured that there are no unfortunate mishaps during your training session. 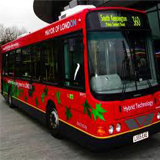 PCV training – meant for drivers of passenger carrying vehicles, there are further division of categories in this training program like D automatic bus and D1- Minibus, D, D1, D+E and D1+E minibus & trailer. The first two training programs are for drivers of manually operated vehicles and the training module as well as the certification would depend on the number of passengers to be carried. 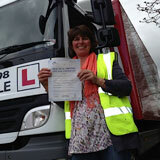 LGV/HGV training – this is meant for drivers wishing to train for driving goods carrying vehicles. LGV stands for large goods vehicles while HGV stands for heavy goods vehicles. This training program too has further divisions like B+E car and trailer training, C, C1, C+E and C1+E. depending on your requirements and specifications of the weight to be carried in the vehicle, you can choose one of the categories of the training program. 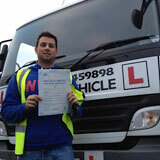 CPC driver training – this training certification is the latest requirement for all professional drivers. 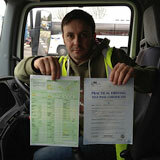 You have to submit your CPC training certificate along with your PCV or LGV/HGV licenses to obtain the permission to drive professionally. You also need to undergo in every 5 years of time, a periodic 35 hours of training. The CPC training test is divided into two parts, the practical part and the theory part. You would be prepared for the test with a complete driver CPC module, if you are a new driver, which includes CPC case studies. This would help you to understand the on road situations better as well as the various road rules and regulations better such that you have a keen knowledge of the driving essentials. Apart from the training, obtaining a valid drivers license also includes proper document submission to specified authorities. GP training provides you with all the assistance you need to fill up forms like the D4 or the medical form and the D2 or the provisional entitlement form. Not only filling but we also take the responsibility of submitting the completed documents to the concerned authority i.e. DVLA. If you are worried about not being able to clear the driving test in your chosen category at the first go, there is a special service to ease all your worries. 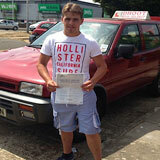 The service is pass protection, which allows you to appear for a retest in case you do not clear or fail the first attempt of your driving test. 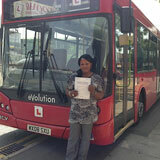 There is also the service of PCV pass protection for drivers undergoing PCV training and opting for PCV tests. If you have the will, we would provide you with a way. Hence all that you need to train for driving professionally or just for driving a personal car is the willingness to learn; and we would provide you with everything else. To know more about the services and trainings provided at GP training, please visit us at GP training in Brighton, London.